Swiss startup MyKronoz's ZeTime, what it's calling the world's first hybrid smartwatch, has blown past its Kickstarter goal in a day. So far, it's garnered $115,000 for a $50,000 goal. 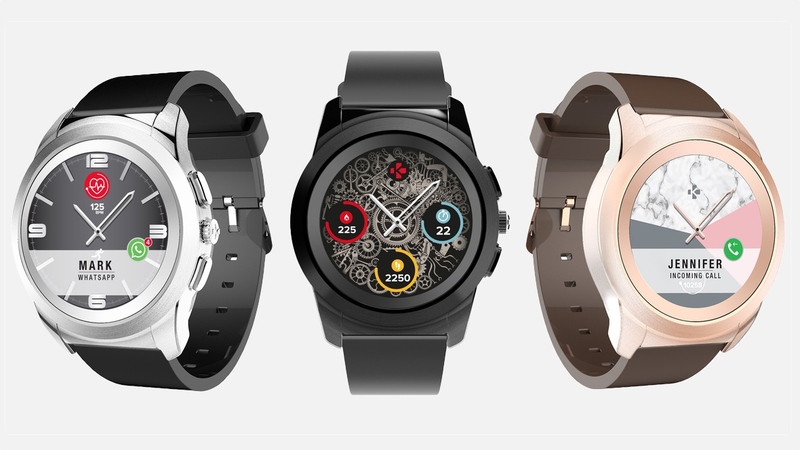 There is no end of hybrid smartwatches right now, but MyKronoz is taking a unique approach to the connected timepiece by putting traditional mechanical watch hands on top of a full colour touchscreen display. It's managed to pull this off by cutting a hole in the centre of the round TFT screen to allow the watch to pass through. It's a unique idea, and it might just have legs. In terms of design, the ZeTime features a 44mm stainless steel watch case and will come with customisable and interchangeable watch faces and 22mm straps including silicon, genuine leather and carbon fiber options. It's also waterproof to 30m so you can go swimming with it and jump in the shower with it still strapped around your wrist. For fitness lovers, there's a 3-axis accelerometer and an optical heart-rate sensor to track activity and sleep and offers an inactivity mode to keep you up and active during the day. The always-on hybrid smartwatch automatically updates the time according to location and will also offer a host of interchangeable digital watch faces. You can switch between features via the 1.22-inch, 240 x 240 touchscreen or the physical smart crown. It'll pack the usual smartwatch features including the ability to view incoming calls, receive notifications and control music playback. Battery life for the mechanical element should be up to 30 days from a single charge while the touchscreen part is powered by a 200mAh battery. It's not clear how long that will power on for, but our guess is that it won't be 30 days. The MyKronoz ZeTime is set to launch in early September 2017 starting at $199.90. However, pledging to the Kickstarter gets you a ZeTime for a 40% discount. There are three tiers you can pledge at: $119 gets you one of the original collection, $137 gets you one of the premium collection and $149 gets you one of the elite collection.